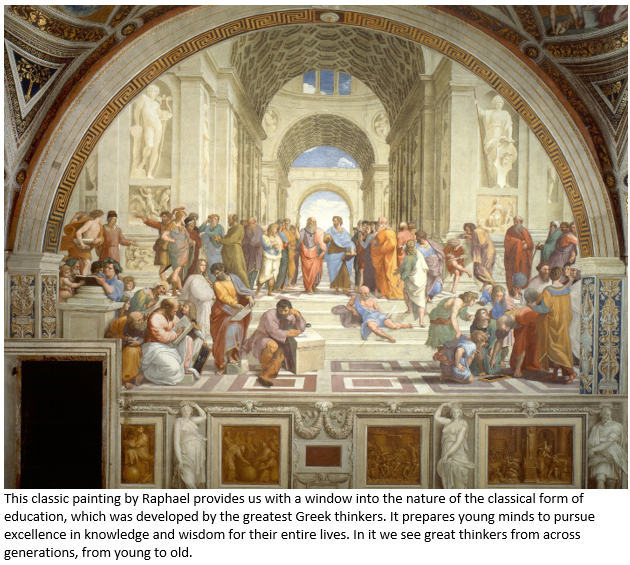 What is Classical Education? Classical Education seeks to not simply inform the mind but to form it. It does so by harnessing the natural power and progression of the intellect through a three part process called the Trivium. The early years of school are spent in absorbing facts, systematically laying the foundations for advanced study. In the middle grades, students learn to think through arguments. In the high school years, they learn to express themselves. To read more about Classical Education, click here.